Just as in human medicine, some doctors choose to pursue higher education by specializing in a specific area of interest. To become a board-certified specialist veterinarian, these doctors had to complete a minimum of a one year-internship or equivalent training, and three to four years of intensive residency training in their specialty after they have completed vet school. In addition, to become a specialist, the veterinarians must successfully pass a rigorous series of examinations. Dr. Bianco graduated in 1998 from the University of Torino (Italy) and completed a Ph.D. program in 2002 at the same institution. He met the requirements for practicing as a veterinarian in the United States in 2003 at Purdue University. 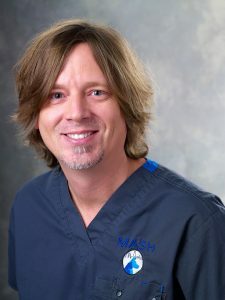 He did his rotating internship in small animal medicine and surgery at the University of Columbia-Missouri, his residency in small animal internal medicine at the University of Minnesota, and became a diplomate at the American College of Veterinary Internal Medicine in 2008. He authored several publications in peer-reviewed journals and lectured at many international meetings. He loves all aspects of small animal internal medicine and his research is focused on hematology, coagulation, and immune-mediated diseases. His clinical interests include gastroenterology, nasal and pulmonary diseases, endocrinology, hepatology, nephrology, urology, and pancreatic diseases. He is skilled in abdominal ultrasonography, thoracic ultrasonography, laparoscopic biopsy techniques, gastroduodenoscopy, colonoscopy, rhinoscopy, tracheo-bronchoscopy, cystoscopy, vaginoscopy, bone marrow evaluation, and tracheal/urethral stenting. He spends his free time with his family, friends, as much as he can. He loves going to the beach, playing soccer, alpine skiing, swimming, tennis, and travelling back home to Italy and any other fun places to discover. 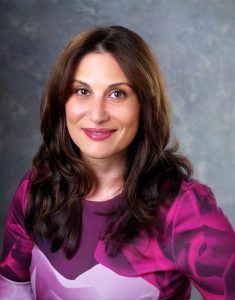 Dr. Stikeman was born and raised in Toronto, Canada and received her undergraduate degree from the University of Toronto. She moved to Perth, Australia to attend veterinary school at Murdoch University and was a founding executive and President of the Murdoch Animal Welfare Society. 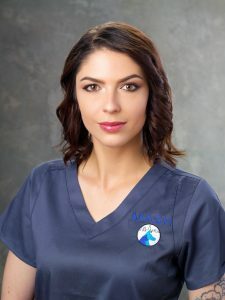 Following graduation, she undertook a rotating medical and surgical internship at a private specialty practice in Connecticut before moving inside the Beltway to work as a generalist for two years. 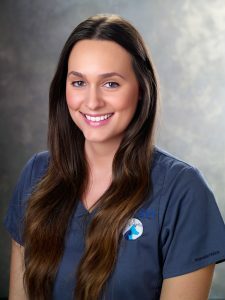 Drawn by a fascination of Internal Medicine’s unique ability to answer (almost) any question, she moved to Texas to pursue a specialty internship and subsequent Residency at the Center for Veterinary Specialty + Emergency Care. 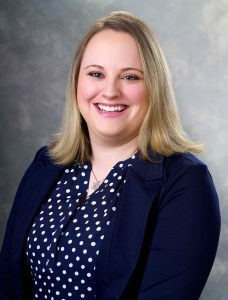 Dr. Stikeman has successfully completed all board examinations and is awaiting publication of her research paper to attain board-certification. 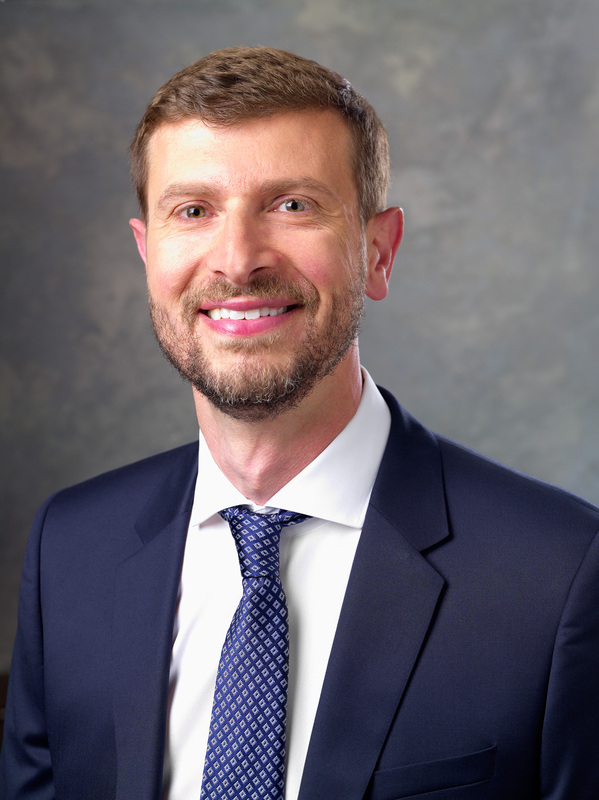 Dr. Stikeman is extensively trained in ultrasonography including echocardiography and enjoys all diagnostic endeavors. Her areas of clinical interest include intestinal diseases at large, protein-losing enteropathies, as well respiratory diseases, endocrine disorders, and all aspects of feline medicine. She is very excited to be joining the wonderful team at MASH and looks forward to meeting all the wonderful dogs and cats of the Los Angeles area! 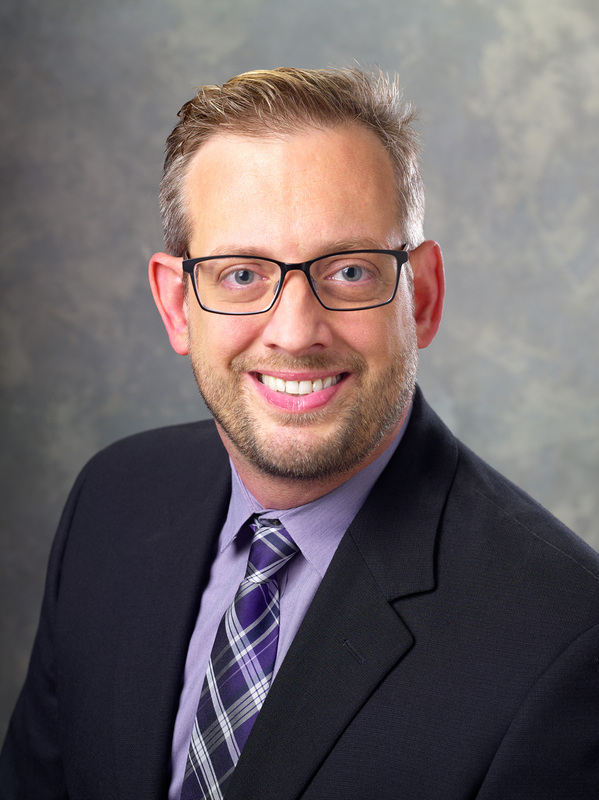 When not at work, Dr. Stikeman can usually be found studying history (especially WWII), watching Blue Jays baseball, or working on future travel plans. She also loves spending time with her two new (and giant!) cats Winston and Clementine, and visiting her sister and her cat, Ray Finkle. Tyson was born and raised in Los Angeles and has been working in the veterinary field since 2001. He has extensive experience in emergency medicine but has been working in specialty since 2010. His specialty experience ranges from cardiology, surgery, oncology, ophthalmology and now internal medicine since joining the MASH team. Tyson has three cats: Moody, Lupin, and J. D. In his spare time, he plays hockey for a league and likes to work on old cars. Melody was born and raised in Los Angeles. 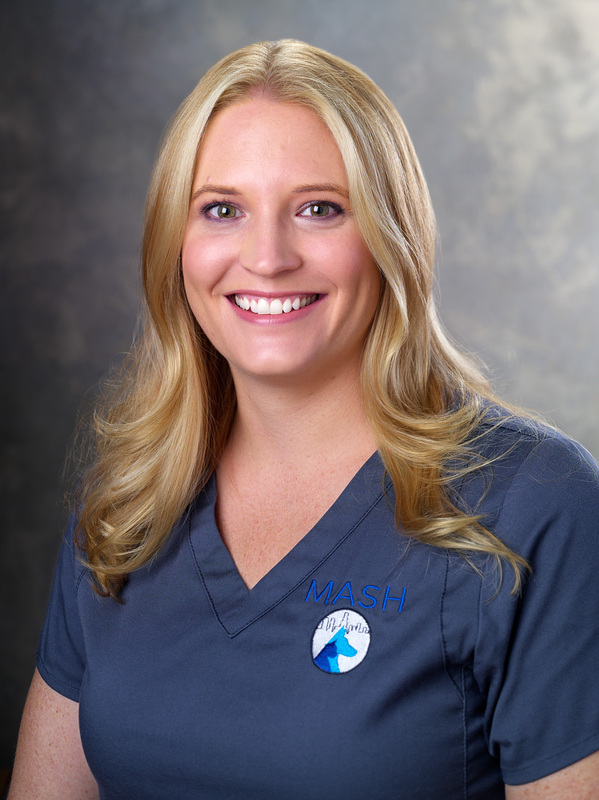 She has been working in the veterinary field since 2013 and has been working with Dr. Bianco since MASH opened. 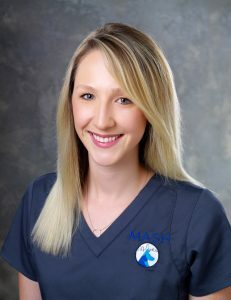 She started her career in the veterinary field in Austin, Texas, before moving back to the LA area and joining the MASH team. In the fall, she will be attending Santa Monica College to become a surgical nurse for human medicine. She has a 9-year-old dachshund named Dozer. The newest member of her family is a polydactyly cat named Digits, who chose Melody after winding up at her door step. She loves attending music festivals, hiking, traveling, and spending time with her husband and pets. Jace was born and raised in Santa Monica. He has been working in the veterinary field since 2000. Jace has worked in general practice, emergency and critical care, surgery, and oncology. Jace joined the MASH team in November 2018 and found that his passion lies in internal medicine. Jace plans on getting his RVT and then would like to pursue his VTS in internal medicine. He has a 15-year-old Italian Greyhound named Tula. Jace likes to be very creative, so in his spare time he enjoys making costumes and props for Anime Cosplay, building items and painting, as well as, playing video games and working on computers. Claudia was born and raised in Los Angeles. She has been in the veterinary field since 2000. She started as a kennel attendant and has worked her way up to a veterinary assistant. She has worked general practice, internal medicine and in orthopedics. 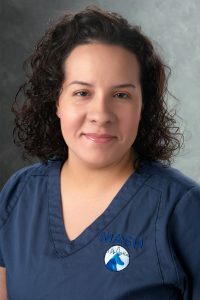 She joined the MASH internal medicine team in September of 2018. Claudia plans on obtaining her RVT license soon. She has a 4-year-old Pit Bull named Nora, a 6-year-old Chihuahua named Consuela, and a 7-year-old cat named Gunther. In her free time, she enjoys hanging out with her dogs and playing guitar. Jacky was born and raised in Los Angeles. She has been working in the veterinary field since 2014. She started out in reception and worked her way up to be a doctor’s assistant/technician assistant. 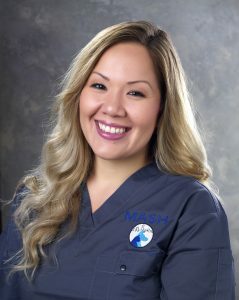 She joined MASH’s internal medicine team February 2019. Her goal is to become an RVT and she is currently in school to get her veterinary technician associates. In her free time, she like to practice guitar and drums, go to concerts, check out new brewers, watch sports (especially LA Kings), watch movies, go to Disneyland and play video games. Margot is originally from Miami but moved to Los Angeles 2 years ago to gain a new experience in life. She has been working in the veterinary field since 2012. She started out in general practice, then moved into large animal practice, and now specialty. Her goal is to own a nonprofit rescue or welfare group for animals. She has a pit bill mix named Gypsy, and a cat named Brixton. In her spare time, she loves to rock climb, go to the gym, watch movies and experiment with photography. Max was born and raised in Los Angeles. She has been working in the veterinary field since 2016. Max started out in reception but found that she wanted to be more hands on with the animals, so she moved up to be a doctor’s assistant. 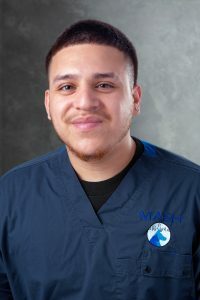 Max joined MASH’s internal medicine team in March 2019. She has a 3-year-old Schnauzer mix named Cerberus (Cerbi for short), and a 1.5-year-old Havanese named Anubis. When not working, she likes to be in nature. She likes to hike, go for walks and drive around looking at nature. Allyson is a Los Angeles native. She has been working in the veterinary field since 2017. Before joining the MASH team, Allyson worked at a dog hotel and has also worked at animal rescues as a receptionist. She has a degree in cosmetology and used to work on shoots. She plans on learning more about veterinary medicine through her work at MASH to find where her passions lies in the veterinary world. Allyson has three dogs: a pit mix named Moulder, a cattle dog mix named Moma, and a Chihuahua mix named Navie. When not at work, she loves to go out, try new places to eat, hike, hang with her dogs, and experiment with cooking/baking. Daisy was born and raised in Bakersfield, CA and moved to Los Angeles two years ago. Before entering the veterinary field in 2016, Daisy worked as a personal chef for 4 years. She also has her Bachelor’s in music from UC Santa Cruz. 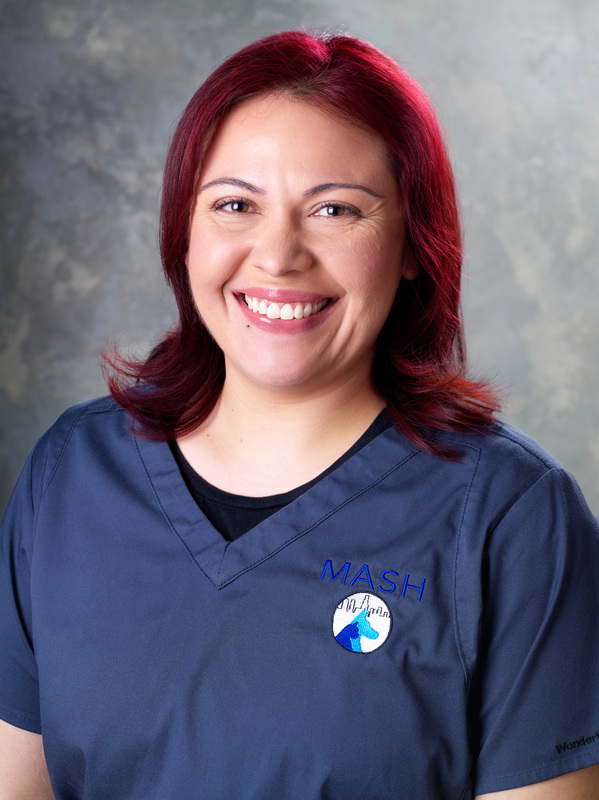 Daisy joined the MASH family in March of 2018 as a receptionist. She especially enjoys customer service and making a personal connection with people. Her goal is to help create charity events in the veterinary field through MASH or animal rescues. She has two cats, Willow and Marmalade. In her free time, she enjoys volunteering, cooking, hiking, doing arts and crafts, and hanging with family. Dr. Jennifer Pierro grew up in Sydney, Australia and California. She did her undergraduate work in psychology at UC Berkeley. She then moved to Providence, Rhode Island, where she developed her passion for both basic science and clinical research during her graduate studies at Brown University. 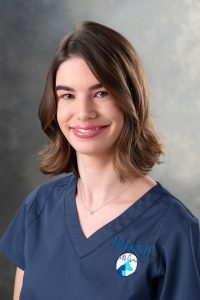 She went on to complete her Doctor of Veterinary Medicine degree at Purdue University, during which time she discovered her fascination with oncology and cancer biology. She completed an internship and medical oncology residency at University of Georgia. During that time, she was fortunate to have the opportunity to run clinical trials and bench top studies using feline cancer cell lines. Dr. Pierro’s interests include feline mammary cancer, feline lymphoma, novel chemotherapeutics, and drug re-positioning. Most importantly, her focus is treating cancer while promoting quality of life. She is very excited to be joining the team at MASH, and to be starting the oncology program. Josef grew up in Mississippi gulf coast, but has lived most of his adult life in Los Angeles. Josef has a Bachelors in Animal Sciences from Cal Poly San Luis Obispo. Josef loves the reward of seeing pets feel better and bringing joy to owners. Josef started working in general practice for 1 year and then switched to specialty medicine in oncology. He joined the MASH oncology team in July 2018 and is helping to develop the oncology department. He is currently starting the process to find a dog to adopt. In his spare time, he likes to travel, cook (and eat! ), go to the theater and attend concerts. Kristine was born and raised in Los Angeles. She has been in the veterinary field since 1998. She obtained her Associates in Veterinary Technology from Mt. Sac and is an RVT. Kristine started working in general practice, but moved to specialty medicine, specifically oncology, in 2015. She enjoys the science behind oncology and plans on obtaining her VTS in Oncology soon. 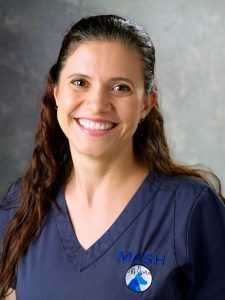 She joined the MASH oncology team in July of 2018. She has one dog, a Border Collie named Lynus. In her free time, she enjoys spending time with her kids and working on her house. Joanna was born in California but is of Polish decent. She graduated from UC Santa Cruz with a Bachelor’s in biology. Joanna grew up with animals and has always had a passion for taking care of animals. 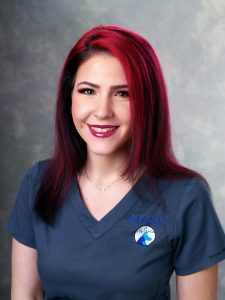 She loves that the attitude towards animals is changing and the amount of advancements in the veterinary field to give them the best care and best of lives. Her goals in this field is to make the MASH Oncology department a “happy” place even though they deal with the big C (cancer). She wants to make a terrible situation for owners a little bit easier through their experience with the oncology department. Joanna has been in the veterinary field since 2008. She has a 7-year-old Shiba Inu mix named Bailey. In her free time, she likes to hike (climbed Kilimanjaro in 2017) and hang out with family and friends. She also is a huge traveler and loves to research new places to travel to. Gershom was born in the Philippines and moved to Los Angeles in 2004. He has a Bachelors in Hotel and Restaurant Management from University of St. Johns in the Philippines. He spent many years in human healthcare management in Los Angeles and in New York. 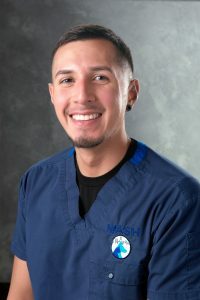 In 2017, he decided he wanted to bring his experience with the human health care side to the veterinary world and started working at a specialty hospital in November of 2017. 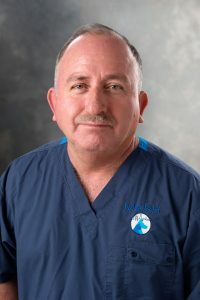 He joined the MASH oncology team in July of 2018. Gershom would like to own his own business someday. In his spare time, he plays tennis (used to compete in the junior league), enjoys binge watching television shows, exploring the restaurant scene in LA and volunteering at Centria Healthcare with autistic children. 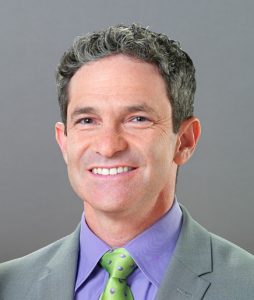 Dr. Strom was born and raised in Los Angeles and is thrilled to still call it his home. He received his veterinary degree at UC Davis, where he first realized his love for surgery and emergency medicine. During his internship at the University of Pennsylvania, Dr. Strom honed his skills in veterinary medicine and decided that his true passion lay in surgery. 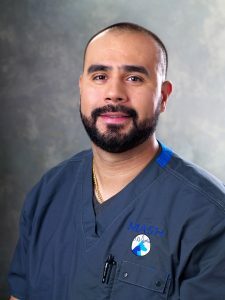 After completing a one-year surgical internship with Gulf Coast Veterinary Specialists in Houston, he returned to Los Angeles to complete his 3-year surgical residency at Animal Specialty Group. Under the excellent guidance of the doctors there, Dr. Strom was exposed to and learned a wide range of skills. With successful completion of the residency program and passing of the certification exam, Dr. Strom achieved diplomate status in the American College of Veterinary Surgeons in 2011. Until 2017, he worked alongside his prior mentors as a member of the surgical service. 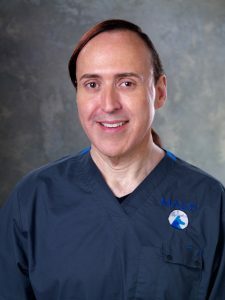 He enjoys all aspects of surgery, but is most excited by reconstructive and oncologic procedures, fracture repair, and newer, minimally-invasive procedures. 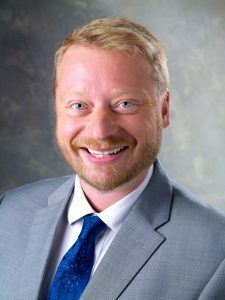 In his free time, Dr. Strom enjoys skiing, scuba diving, traveling, and spending time with his family and friends, and of course, his dog, Frannie. Dr. Williams grew up in Toronto, Canada and received her Doctorate in Veterinary Medicine from The Ontario Veterinary College in 2011. 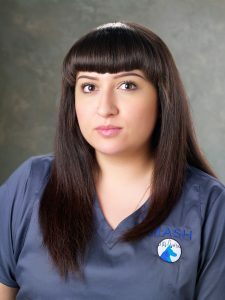 She then moved to the Los Angeles area where she completed a small animal rotating internship, surgical internship and residency in small animal surgery at Animal Specialty Group. 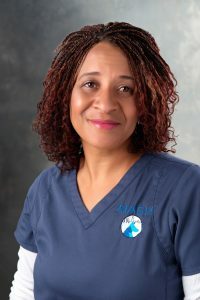 Her major interest is in orthopedic procedures such as joint replacements, cruciate ligament disease repair, and angular limb deformity correction. Also, she enjoys reconstructive and other soft tissue surgeries and the ability to help all patients in need. 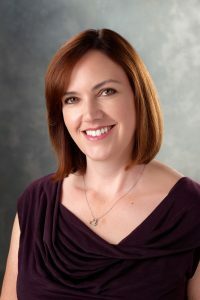 Dr. Williams’s extracurricular interests include musical theater, exploring southern California and spending time with her husband, James, and their herd of dogs: Gus, Tito, Minka and Butter. 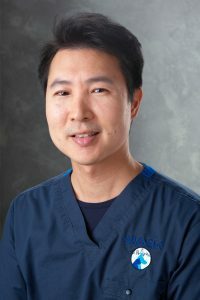 Ji grew up in the LA area and has been in the veterinary field since 2012. She obtained her Bachelors in Veterinary Technology from Cal Poly Pomona. 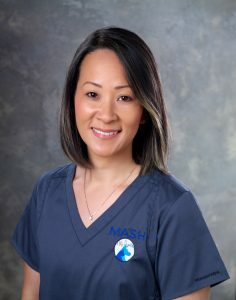 Ji has been with MASH since its beginning and is the Surgery Department Manager. The artwork on the outside of MASH’s building was designed by Ji, as well as some of the artwork in the rooms were painted by her. Ji has three cats, Dusty, Leo, and Pharaoh. She also has a Rottweiler/Doberman mix named Kid. When not at work, Ji loves to paint, ride motorcycles, read, hang with her family, and is a huge foodie. Linette is a Los Angeles native. She has been working in the veterinary field since 2000. She obtained her Bachelors in Veterinary Technology from Cal Poly Pomona. 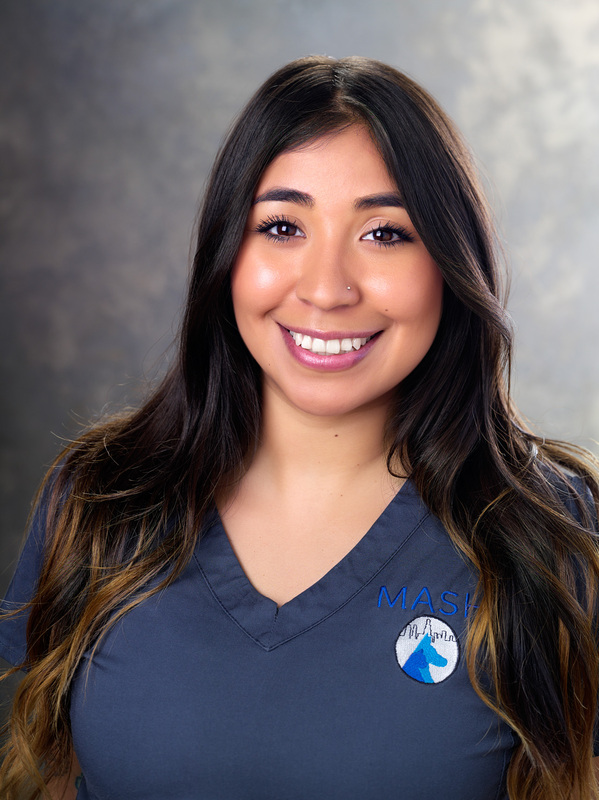 Linette’s passion in the veterinary field is for surgery and anesthesia. Linette will be pursuing her Veterinary Technician Specialty (VTS) in anesthesiology in the near future. She has four dogs, a Min Pin named Dilly, and three Pitbull’s, Katanna, Monster, and Xena. When not at work, Linette likes to spend time with her family, play video games and snowboard. Hansel was born and raised in Los Angeles. He has been in the veterinary field since 2012. Hansel started out in general practice but found that his passion was for specialty medicine. He is currently apart of our surgery department and wants to obtain his RVT license soon. Hansel likes working in the surgery department because there is always something new creating an environment for constant learning. Hansel has two cats named Damsiel and Tigre. In his spare time, he likes to spend time with his kid and watch/play basketball and soccer. Kat grew up in Los Angeles. She has been in the veterinary field since 2011. She started out working in general practice but has been working in the surgical specialty for four years. Kat is working on getting her RVT soon. Her passion in veterinary medicine is surgery. She loves everything about surgery, from the different cases, to the procedures, to even the different instruments. Kat has a Shih Tzu named Chubs and a cat named Panther. When not being a mom, Kat enjoys working out, shopping, sleeping, and food. Kristine was born and raised in Los Angeles. She has been working in the veterinary field since 2012. She started out in reception and has worked her way up to technician assistant. She started her career in general practice and then moved into specialty. She has worked in neurology, cardiology and internal medicine. Kristine loves learning about the actual medicine side of veterinary medicine and hopes to continue learning through all specialties. Kristine has two large dogs, a Rottweiler named Lex and a German Shepard mix named Solo, who is a rescued police dog. In her spare time, she likes to dirt bike, horseback ride and try new breweries. Tanya was born and raised in Los Angeles. She has been working in the veterinary field since 2007. She started out working reception in generally practice and then moved to specialty practice. She loves specialty because she continues to learn and expand her knowledge. 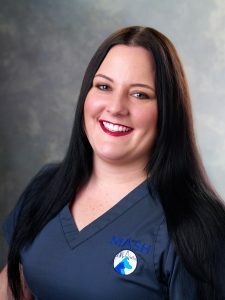 Tanya joined the MASH team in February of 2018 as a surgery DA. She has two cats, Akima (Spynx), and Butters (DSH). She also has a Sheba Inu mix named Kai. Tanya loves to be outdoors. She loves camping, hiking, fishing, and music festivals. She also loves to spend time with her family and friends. Chris was born and raised in Burbank, California. He has been in the veterinary field for 11 years, working in emergency and surgery. Chris plans on getting his RVT soon. He has a passion for wildlife and would like to work at a wildlife rehab center at some point. He has 2 dogs, a Pit bull named Ruby and a chihuahua named Mickey. When not working, Chris likes to play/watch sports, especially soccer, bowling, playing music, and drawing. David was born and raised in Los Angeles. Before joining the MASH surgery team in May 2018, he was a teaching assistant for special education. David is brand new to the veterinary medical field and is interested in working his way up to become a registered veterinary technician. David has one dog, Athena, a mixed breed. In his spare time, he likes to read and explore LA. Dr. Andrew Cruikshank earned his Doctor of Veterinary Medicine degree from the University of Tennessee in 2002. He then began a rotating internship at VCA West LA, where he discovered a love for critical care. He then went on to complete a critical care residency at ASEC and stayed on afterward as a criticalist and ultimately accepted a position at ASEC as Medical Director. 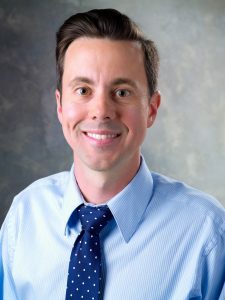 Though Dr. Cruikshank is experienced in many aspects of veterinary medicine, he takes special preference to respiratory diseases, ventilator therapy, and endocrine disease. Dr. Cruikshank enjoys sharing his knowledge and experience with up and coming veterinarians as a Clinical Associate Professor at Western University College of Veterinary Medicine. Andrew lives with his dog, Elvis, and his cat named Mags. He also enjoys traveling, baking, and exploring Los Angeles. Dr. Mike Becker was born and raised in Phoenix, Arizona. 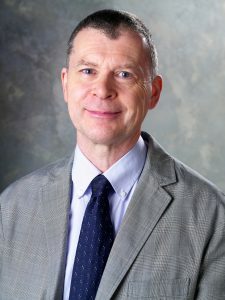 Dr. Becker earned his undergraduate from the University of Arizona and earned his Doctor of Veterinary Medicine degree from The University of Illinois. Dr. Becker did his rotating, specialty internship, and residency in emergency and critical care at a busy specialty practice in Los Angeles. 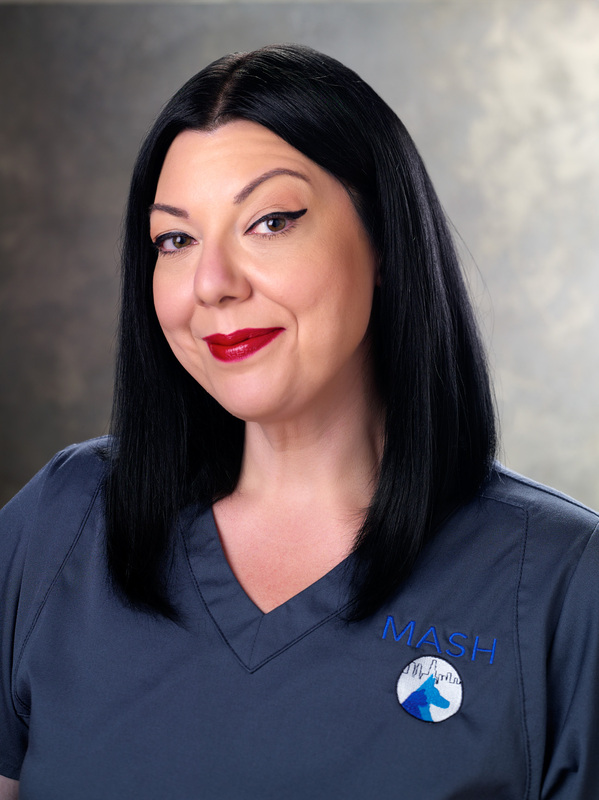 Dr. Becker joined the MASH Emergency and Critical Care team in May 2018. 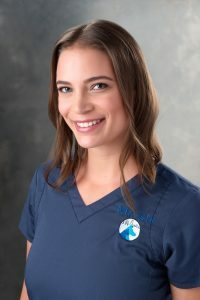 Dr. Becker has over 8 years of experience as a veterinarian (5 internships and residency), and 3 years as a criticalist at a private practice in LA. Dr. Becker’s specific interests in emergency and critical care include trauma, sepsis and septic shock, antimicrobials, including antibiotic resistance and critical care nutrition. 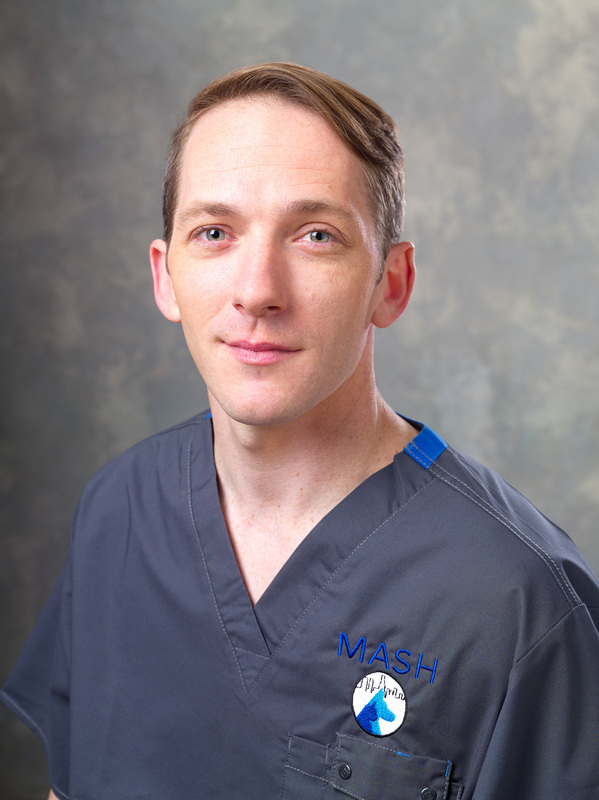 Dr. Becker is excited to help grow the Emergency and Critical Care department at MASH. He especially wants to continue to help his patients and help their owners make informed decisions for their ongoing care. When not saving lives, Dr. Becker likes to do anything where he can be active and be outdoors. He enjoys running, hiking, home brewing beer, and he hopes to learn how to surf soon. Dr. Becker has 4 dogs, Charlie (11.5yrs), Towaoc (10 yrs), Billie Jean (5 yrs), and Min Flauta (10 yrs). He also has three cats, Rod Johnson (14 yrs), Homer (12 yrs), and Lord Bran (5 yrs). Dr. Ahn Wong is a Los Angeles native. She attended Western University of Health Sciences and obtained her Doctorate in Veterinary Medicine. She did a small animal 1-year rotating internship through Animal Specialty Group, where she stayed on to be an emergency veterinarian. 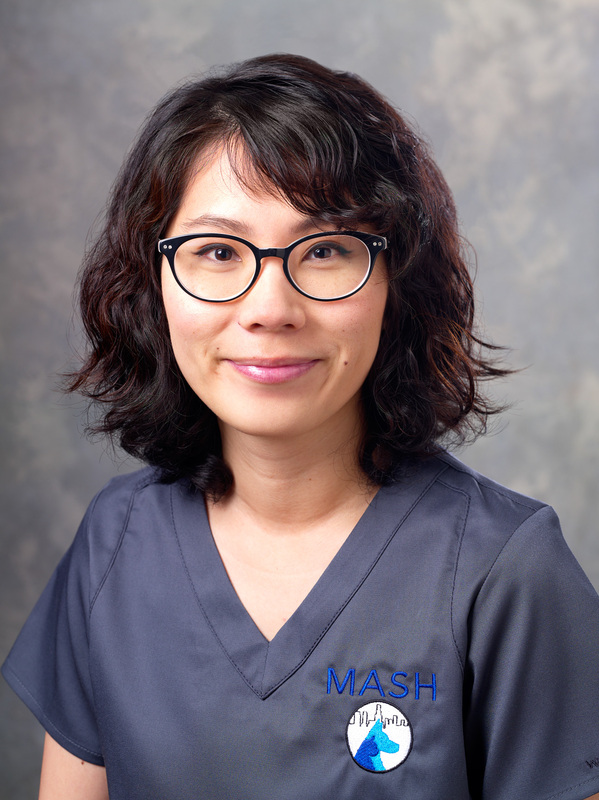 Dr. Ahn joined MASH’s emergency team in April 2017. She has three dogs and one crested gecko. In her free time, she enjoys traveling, hiking, cooking, and spending time with her family and friends. Dr. Guest is originally from Canada and attended Ontario Veterinary College, attaining her degree in Veterinary Medicine in 2016. After graduating, she moved to Los Angeles and did a small animal rotating 1-year internship at Animal Specialty Group. This is where Dr. Guest found her passion for emergency medicine and joined the MASH emergency department July 2017. Dr. Guest likes the challenge that emergency brings and how every case can be different allowing for a constant learning environment. She has 2 cats, Emmett and Piper. After living in LA for a year, she fell in love with the weather and LA atmosphere and plans on staying here. She loves to go hiking, traveling, and camping. 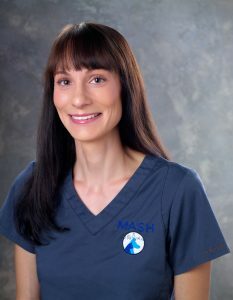 Dr. Kotelko attended UC Davis for both undergrad and veterinary school, attaining her degree in Veterinary Medicine in 2009. 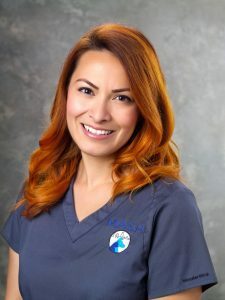 She practiced as a general practitioner in the CA Central Coast for the first two years out of vet school, then moved back to the Los Angeles area, where she grew up, to take on the challenge of overnight emergency medicine. Her interests include trauma and surgery and she loves the diversity of cases seen with emergency medicine. During her time off, she loves to hang out with her 3 cats (Neville and Stevie), watch Hockey (Go Kings!! ), play video games, go to concerts, and enjoy the outdoors. Dr. Stella Chu received her B.S. in Animal Science from Rutgers University in 2011 and went on to University of Pennsylvania to attain her Veterinary Medical Doctor degree in 2015. 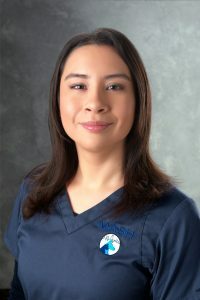 Dr. Chu then completed her rotating internship at the University of Illinois from 2015-2016, and recently, her internal medicine specialty internship at Red Bank Veterinary Hospital. 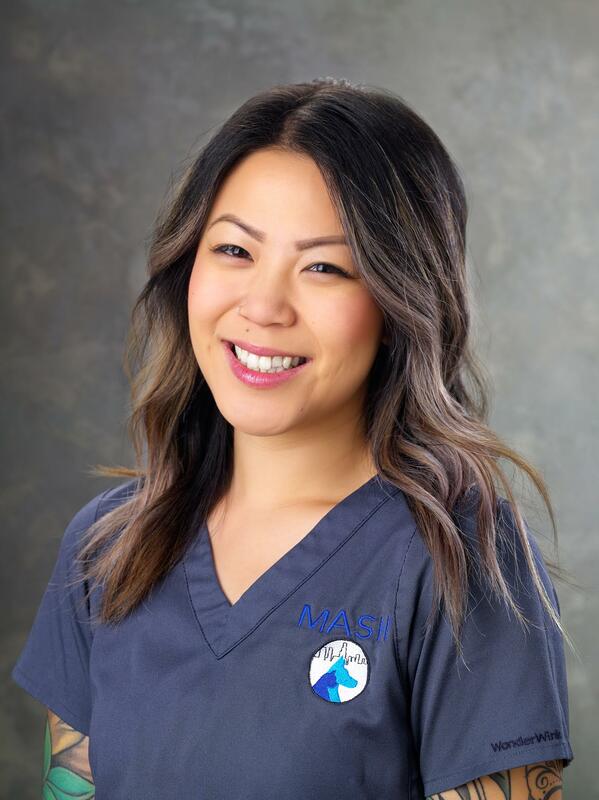 Dr. Chu joined the MASH emergency and critical care team in August 2018. Dr. Chu is also interested in veterinary hematology, immune-mediated diseases, and nephrology. 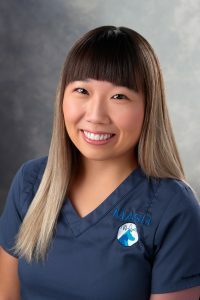 In her spare time, Dr. Chu enjoys going to concerts, hanging out at the beach, cooking, painting, and spending time with her 3 pets: a Miniature Pinscher named Cookie, and two cats name Bear and Hoagie. Jonathan started working in veterinary medicine as an assistant in general practice in 1992 followed by an emergency clinic 6 years later where he worked for 16 yrs. 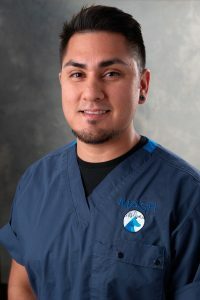 He attained his credentials as an Registered Veterinary Technician in California in 2006 with the intent to also specialize in Emergency and Critical Care. 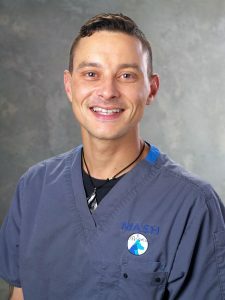 In 2007 he began working at a 24hr specialty practice in Orange County in an effort to gain the necessary knowledge and experience to apply to the Academy of Veterinary Emergency and Critical Care Technicians (AVECCT). He gained further experience by working with Continuous Renal Replacement Therapy (CRRT), a mode of dialysis for Acute Kidney Injury, and long term therapeutic mechanical ventilation. His interests include, but are not limited to, acid/base, advanced anesthesia/analgesia, mechanical ventilation, shock and transfusion medicine. 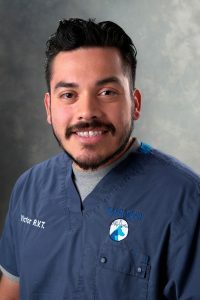 Following several years of study, he passed his boards in 2010, achieving his Veterinary Technician Specialty in Emergency and Critical Care, VTS (ECC). Jonathan has volunteered his time as a member of the AVECCT Examination and Mentoring Committees and has also served on the Appeals Committee. He has authored and contributed a chapter on ocular emergencies in The Technicians Manual for Small Animal Emergency and Critical Care. Jonathan has lectured nationally and locally and attends continuing education conferences on a yearly basis. He is also certified in Veterinary CPR: Basic Life Support. Jonathan lives in Los Angeles with his three dogs and four cats. Much of his free time is spent going to concerts, museums, the beach and simply just relaxing with a good book. Gabe was born and raised in South Central Los Angeles. He has been working in the veterinary field since 2004. He obtained his RVT after being grandfathered in and working on the alternate veterinary technician program. His passion is for emergency and critical care veterinary medicine. He is currently working on obtaining his VTS (Veterinary Technician Specialty) in emergency and critical care. When not at work, Gabe is a major foodie, likes to work on cars, and work out. He recently adopted a Presa Carnario puppy named Fettuccine Biggie Capone. 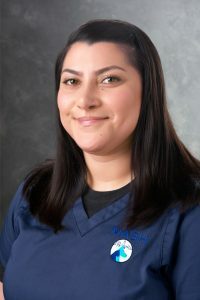 Brandi was raised in the Fresno area, and has been in the veterinary field since 2012. She obtained her associated in Veterinary Technology from Pierce College and is a RVT. Brandi has a passion for emergency and critical care medicine and would like to obtain her VTS in emergency and critical care soon. Brandi likes the level of care that is needed for an emergency patient because it always brings a challenge and a new learning experience. Brandi has three dogs: a Maltese named Casper, a Terrier named Sweets, and a Shephard named Brixton. When not at work, Brandi likes to take her dogs to the park and chill at home. Victor was born and raised in Los Angeles. He has been working in the veterinary field since 2014. Victor obtained his Associates in Animal Sciences from Platt College and after graduating, received his RVT License. 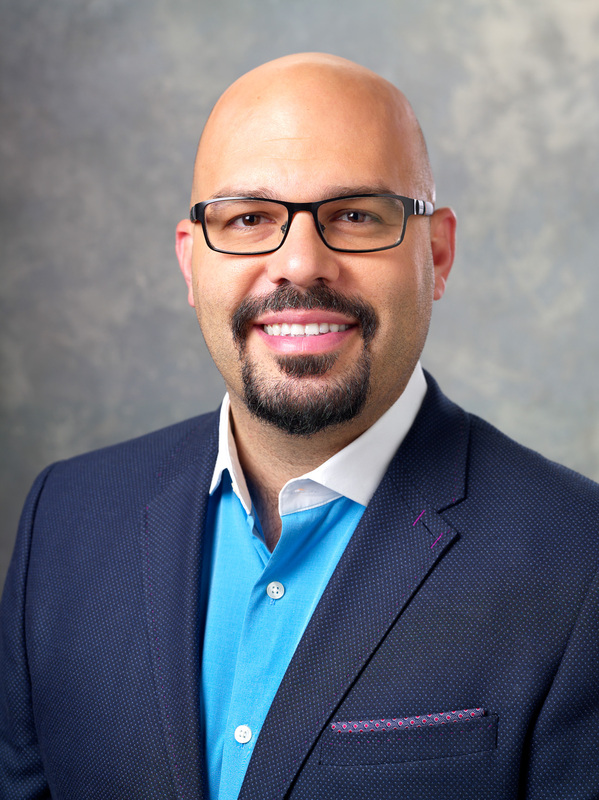 Victor has a passion for emergency and critical care medicine as well as anesthesia. He is interested in getting a VTS (Veterinary Technician Specialty) in the future. Victor rescued a husky mix, named Hazel, that came into MASH from Hope for Paws. When not working, Victor likes to binge watch television shows and would like to spend more time dancing. LaGloria was born and raised in Los Angeles. She has been in the veterinary field for 5 years. She obtained her Associates in Animal Sciences from Pierce College and is an RVT. She also has a Bachelor of Fine Arts from NYU. 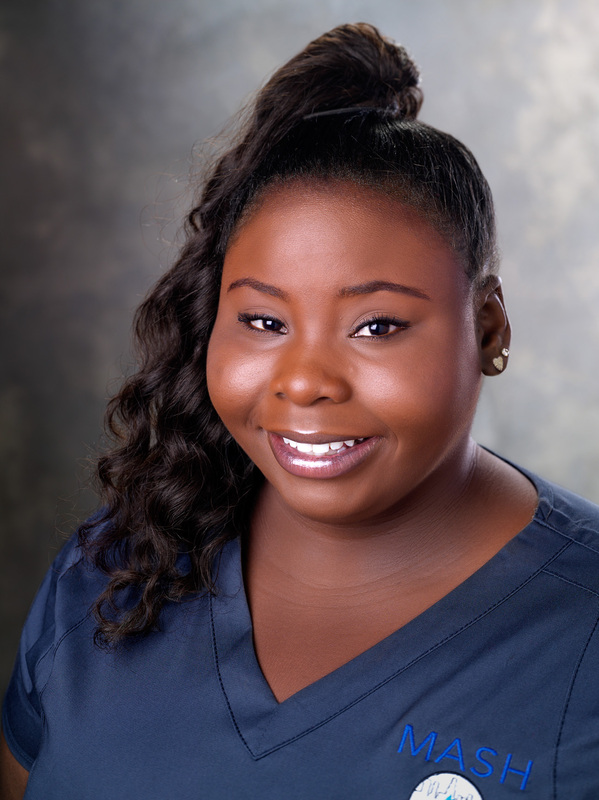 LaGloria has a passion for emergency medicine and would like to obtain her VTS in emergency and critical care. She has two Chihuahuas, one named Gracie and one named Pip. When not at work, she enjoys going to the movies, spending time with family, and reading. Mark has been working in the veterinary field since 2013. He obtained his LVT in Nevada and graduated with his Associates in Animal Sciences from Mt. San Antonio College. He started his technician career in general practice and then joined the MASH team to better his skills as a tech in emergency. Because animals cannot communicate what is going on with them, Mark loves to be the voice of the patients he works with. Mark has a mixed border collie named Bailey. When he is not at work, he loves to go to Disneyland, hike, and go horseback riding. Alex was born and raised in Los Angeles. Alex is an RVT and has been working in the veterinary field since 2006. 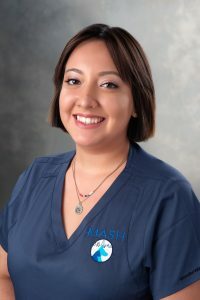 Alex joined MASH’s emergency and critical care team in January 2019. She has a Bachelor of Science in Animal Sciences that she obtained from Cal Poly Pomona and a Masters in Public Health for Epidemiology and Biostatistics that she obtained from the University of Southern California Keck School of Medicine. 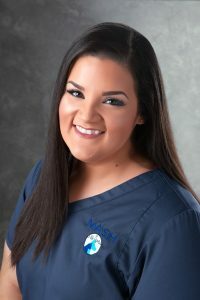 Alex is currently working on her next master’s degree in nursing with the aspiration to be a Pediatric Nurse Practitioner. 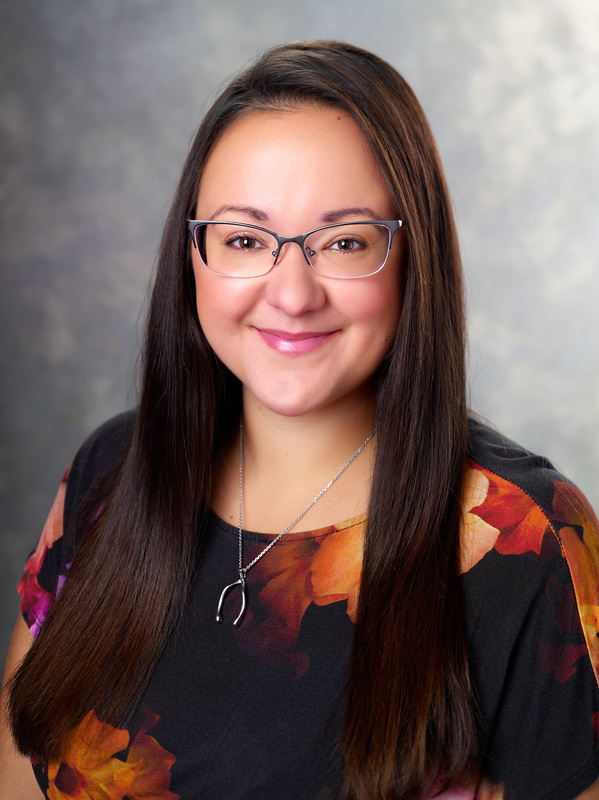 She would like to work in acute and primary care and has a desire to open her own practice or initiate an organization that supports the empowerment of children of minority descent and their families with health care and educational needs. Her main goal with this is to promulgate research studies to create ways to improve programs in the health care system and qualitative care provided to children. She has a 11-year-old Standard Schnauzer named Baxter. When not working or studying, Alex likes to movie binge, try new places to eat, camping, hiking, and paddle boarding. She also enjoys Olympic lifting and training, as well as, go snowboarding during the winter. Kendra was born in Utah and moved to Los Angeles when she was 12 years old. She has been in the veterinary field since 2014. She obtained her Associates in Animal Science from Pierce College and is an RVT. She has always had a passion for emergency and critical care medicine but has also worked in general practice and neurology. In the future, Kendra would like to obtain her VTS in emergency and critical care. She has a 2-year-old Australian Cattle Dog named Olive, and a 9-year-old cat named Maggy. In her free time, she like to hang out with her fiancé and dog hanging at breweries, cooking or reading. 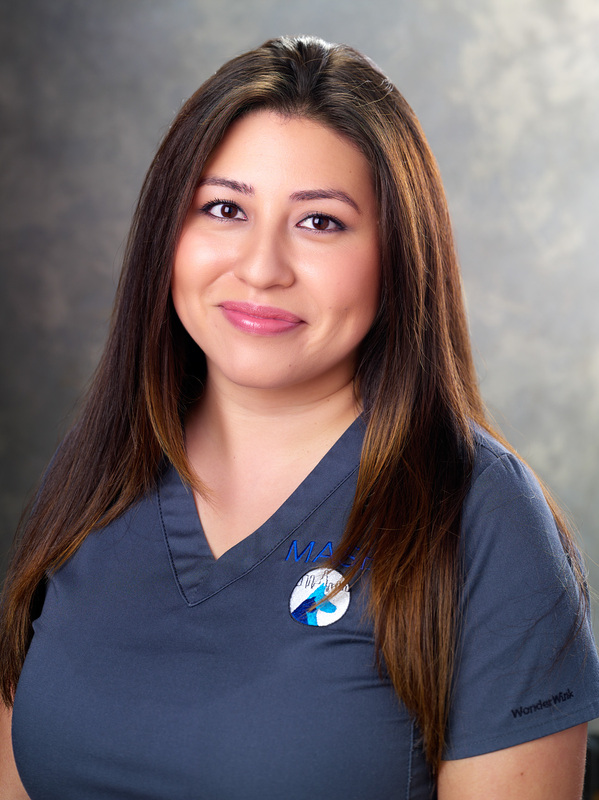 Monica graduated from Pasadena City College with a AAS in Veterinary Technology and became a licensed CVT in 2008. She was previously working at an emergency animal hospital in Portland OR and just recently moved back to Los Angeles area in 2017. She joined the MASH team in October 2017. Monica is married with 2 children and has 4 rescue cats. Monica loves catching up on sleep and drinking coffee. Dayna was born and raised in Pasadena, California. Dayna has been working in the veterinary field since 2001. She has over 12 years of experience in general practice medicine and over 7 years of experience in emergency and critical care. 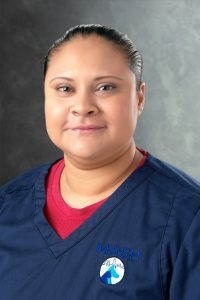 She joined the MASH emergency and critical care team in January of 2018. She has a Bachelor of Science in Animal Science/Pre-vet Med from Cal Poly Pomona University. Dayna is driven by emergency and critical care medicine because she gets to be a part of a team of fast responding critical care Dr’s and techs that help patients defeat all odds against them and reunite them with their owners after debilitating disease, injury or trauma. 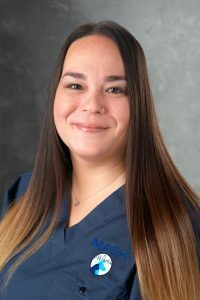 Dayna plans on pursuing the alternative route program to earn her RVT and wants to obtain her VTS in Emergency and Critical Care medicine in the next two years. In her free time, she enjoys taking her four kids to the beach and spending lots of time at family gatherings; cooking, laughing, and playing music. She has a 6-year-old cat named Meow Meow, a 2-year-old Rottweiler named Kapone, and two one year old guinea pigs named Peanut and Sugar. Michelle was born and raised in Denver, Colorado. She moved to Los Angeles 1 ½ years ago. She has been working in the veterinary field for 4 ½ years and has a passion for disaster relief. 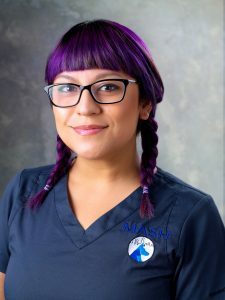 She obtained her veterinary technician degree from Bel Rea and is certified in the state of Colorado and Registered in the State of California. She has a Bachelors in Recreational Therapy for Incarcerated Youth from University of Western Washington. She is currently on the California Disaster Relief team. She has one dog that she rescued, an Ecuadorian street dog named Rico. Being from Colorado, she loves everything outdoors. Chelsea was born and raised in Los Angeles. Chelsea has been working in veterinary field since 2011. Before joining the MASH team, she worked with avian and exotics. Chelsea’s goal is to get her RVT license and get her VTS (Veterinary Technician Specialty) in emergency and critical care. She has a passion for wolf conservation efforts and has been volunteering at APEX Protection Project for 9 years caring for the wolf-dog pack. She has a tortoise named JB, and a dog named Bullet. In her spare time, Chelsea likes to play basketball, travel and work out. Emily was born in England and moved to Los Angeles in 1998. Emily has been working in the veterinary field since 2010. She started out as a receptionist at an exotic animal practice and has worked her way up to technician assistant. She joined the MASH team in March of 2018. Emily wants to pursue her RVT and VTS in emergency and critical care in the future. Emily has a passion for emergency and critical care medicine because of its fast pace environment and the joy that comes when a pet gets better. Emily has a 9-year-old American Bulldog named Monty. Halley was born and raised in the Inland Empire. She has been in working in the veterinary field since 2008. She started working in general practice but found that her passion was for emergency and critical care. Halley would like to get her RVT license and pursue a VTS (Veterinary Technician Specialty) in emergency and critical care. She has 2 dogs, a Pitbull named Jordan, and a Maltipoo named Logan. She also has 2 cats, an 18-year-old named Angel and a 2-year old named Rogue. In her spare time, she loves going to concerts, experimenting with makeup and hair, and she also will model from time to time. Lily earned a degree in Biochemistry from the University of California in Santa Barbara. She worked five years in pharmaceutical and oncological research before transitioning to the veterinary field. She has two beautiful cats and a wonderful service dog. 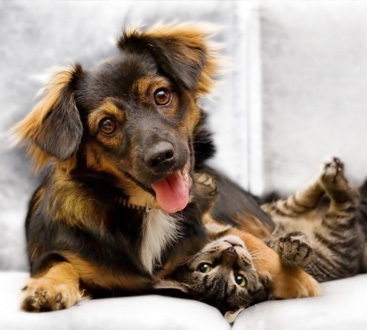 In her free time, she co-operates a home-based pet care business. 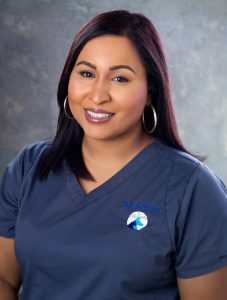 She strives to provide her patients with compassionate care. Brian was born and raised in Los Angeles. He has been in the veterinary field since 2014. He started in general practice and found that his passion was in emergency and critical care. 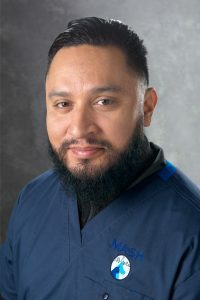 He joined the MASH emergency and critical care team in September of 2018. He has his Associates in Animal Sciences from Platt College and will sit for his RVT license in November of 2018. His goal is to eventually obtain a VTS in emergency and critical care. He has a 2-year-old Rottweiler names Wizard, and a 1-year old Miniature Pincher named Jersey. When not at work, Brian loves to attend concerts, work out, hike and read books. Nicole was born and raised in Los Angeles. 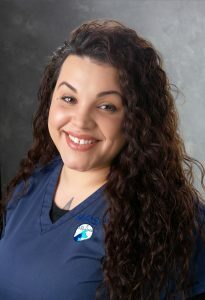 She has been working in the veterinary field since 2012 and plans on obtaining her RVT. She started out in general practice but found her passion in emergency medicine. Nicole likes the challenge of emergency medicine and likes to help be able to be the voice of her patients. Nicole has a 7-year-old pug/chihuahua mix named Chubbs. In her spare time, she loves going to breweries and is a major foodie. Sarah has worked in the veterinary field since 2010. She started out in general practice, but for the past 4 years she has been working in emergency. Sarah plans on obtaining her RVT in the future. Sarah loves working emergency medicine and her favorite part is success stories. She has a 11-year-old Cocker Spaniel named Cody and a cat named Cat-Ty, that her father found in the mountains of South Korea. She plays the violin, loves to watch TV shows on Netflix like Super Natural, and go on road trips and find new breweries with her fiancé. Janaina was born and raised in Brazil and has been living in USA since 2013. Her passion for Veterinary Medicine started when she was 5-year-old, when her first cat named Dalva was giving birth and she believed that if she was a doctor she could save that kitten. Since then she has pursued a career in veterinary medicine with all her heart and compassion. She graduated from Brazil’s University Federal Rural of Pernambuco in Veterinary Medicine in 2001. She has done internships at Zoos and has a specialization in Homeopathy in Exotic Animals and Endoscopy. In Brazil, she worked 12 years as a Veterinarian at zoos and with breeders of exotic animals, and 7 years working as autonomous mobile service of veterinary endoscopy. She has more than 5 years of experience working as veterinary technician in general practice in USA Currently, she is studying English and business with focus in leadership and sustainability at UCLA, to improve her skills with the English language. Her goal is to get her American Veterinary License. Meanwhile she is working to obtain her RVT in the state of California. 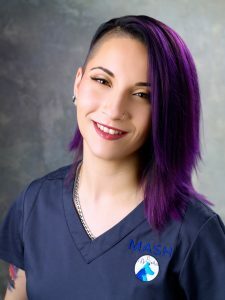 Janaina joined the MASH Emergency family in January of 2018, after realizing her dream was to work in Emergency and Critical Care. In her free time, she loves to travel, visit new places, go to the beach, hike, run, write, read books, hang out with friends, and volunteer to help animals. Janaina has two rescue cats, Sammy and Harley. Angie was born and raised in New York. She moved to Los Angeles 3 years ago because she has always loved the weather here and for a new experience. She has been in the veterinary field for 12 years. Angie is going to obtain her RVT soon and her goal is to become a lead/manage a department. She has 2 dogs, a Pit bull named Jordan, and a Maltipoo named Logan. She also has 2 cats, an 18-year-old named Angel and a 2-year old named Rogue. Angie loves the outdoors, camping, watching sports, and going to music concerts. Jessie was born and raised in Los Angeles. He has been working in the veterinary field since 2010. He has worked in general practice, surgery, and emergency. However, his passion is for emergency and critical care veterinary medicine. He likes the knowledge that he gains from all the different cases, the actual patient care, and cultivating client relationships. 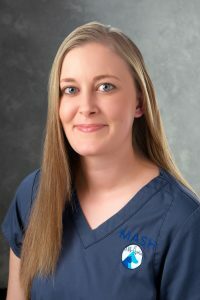 Jessie joined the MASH emergency and critical care team in July 2018. Jesus recently finished the veterinary technician alternative route plan at Platt College. He plans to take the licensing test soon and become an RVT. Jessie has two dogs, a 3-year-old Cocker Spaniel/ Poodle mix named Dominic, and an 8-year-old Pomeranian/ Yorkie mix named Giselle. In his free time, he likes to watch soccer and other sports, go snowboarding in the winter, take long trips, and spend time with family. Victor was born and raised in the Inland Empire, lived part of his adult life in Japan and Germany, but returned home to SoCal. 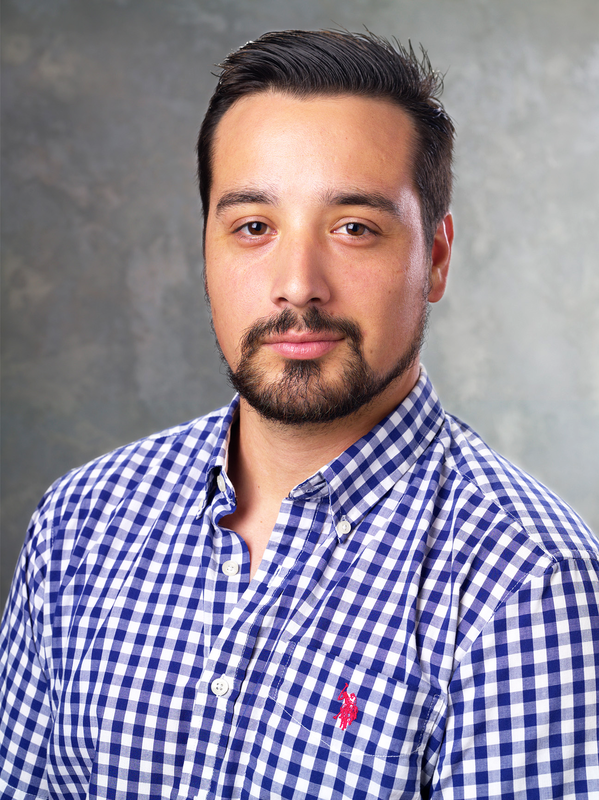 Victor graduated from University of California, Riverside studying psychology and linguistics, originally working towards IT, then human health, then finding that his calling was working with fur monsters. 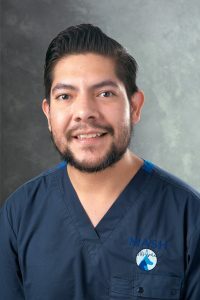 Victor has been working in the veterinary field since 2003, starting in general practice, then moving to shelter medicine, eventually finding his calling in specialty medicine in 2014. His passions include working on cars, drifting (was Pro-amateur on the Formula Drift circuit), craft brewing beer and craft drinks, reading history and watching documentaries. His goal is to one day open a cat and dog café where anyone can unwind after a hard city day, open his own brewery, and to be on Jeopardy and win it all one day, or at least rule the land in bar trivia. Stephanie was born and raised in Los Angeles. She has been working in the veterinary field since 2000. She started out in general practice veterinary medicine but found that her passion was in emergency medicine. 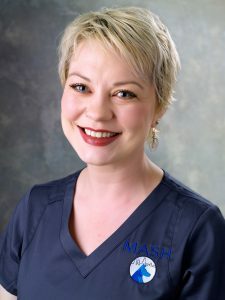 Stephanie joined the MASH emergency team in February 2019. Her goal is to become a registered veterinary technician. She has a 4-year-old Chiweenie named Jelly. She also enjoys rehabbing wildlife and currently has a squirrel named Lucky. When she has free time, she likes to be in nature and hike in the surrounding LA mountains. She also enjoys being with friends and family. Jorge was born and raised in Los Angeles. 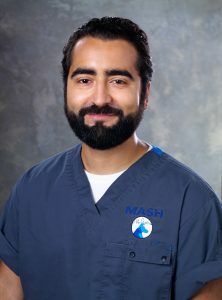 He is brand new to the veterinary field and joined the MASH emergency team in January 2019. Jorge has his sights set on either pursuing his RVT or obtaining his fire technology degree to become a fireman/paramedic. He is also very interested in obtaining his wildfire certification. He has a 13-year-old Lab mix named Spots, and two 1-year old Terrier mixes named Titan and Hunter. In his spare time, he likes to play basketball, go to the gym and go out with his friends. Jenn was born and raised in Los Angeles. Before moving into the veterinary field in 2017, she was a human ultrasound technician. She would love to cross train in both the human and animal fields. Her goal is to be able to do ultrasounds on animals. Jenn has three dogs, Athena, a chow, Bunny, a chow, and Chewy a Maltese/Shih Tzu mix. When not working, Jenn likes to hike, travel, and read. Linda was born and raised in Los Angeles. She has been working in the veterinary field for 10 years. She has had many roles in the veterinary field; receptionist, doctor’s assistant, and tech assistant. She wants to continue to learn through her experiences in the veterinary field by helping patients and building relationships with clients. She is currently in school to obtain her Associates in Animal Sciences and get her RVT license. She has two cats, Miso and Ms. Kylo Ren, a Pomeranian/Maltese mix named Mia, and a bearded dragon named Mango. In her spare time, she loves to attend live music events, play the guitar, dancing, reading, collecting comic books and music. She is currently teaching herself to play piano and she also loves to write. operated veterinary hospitals in the UK for 20 years before moving full time into veterinary dentistry. Southern California and is working towards his dental specialty qualification in the USA. oral oncologic surgery. He is also adding dental implantology to his treatment options. photography are on the back burner for now. Renn was born and raised in Los Angeles. She has been working in the veterinary field since 1993. 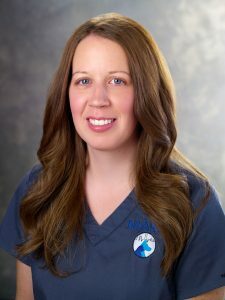 She started out in large animal medicine and then has done emergency and critical care, physical therapy, and cardiology. 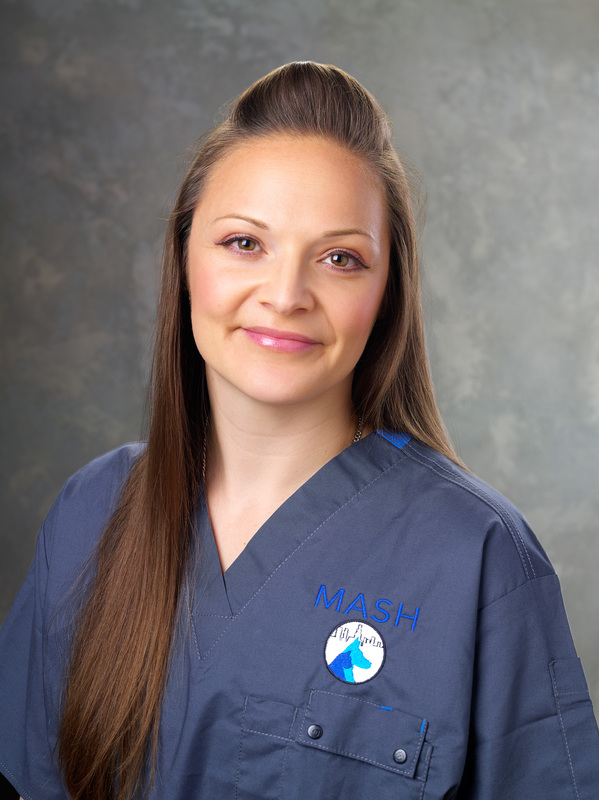 Renn joined the MASH dentistry team in September 2018. Renn has her Bachelors in Animal Sciences from UC Berkeley and plans on obtaining her RVT license soon. Renn has four poodles, Yebo, Sarabi, Mo-Town, and Mr. Baloo. She also has a Pit Bull names Buncha and a cat named Mr. O’Malley. Renn has four chickens as well, Onyx, Mirage, Millie, and Olivia. When not working she loves to garden, tend to her animals and hang out with her son. You can often find her on her porch drinking a cup of coffee, out dancing, exploring new wines, or playing/watching sports. Dr. Eva Schmidt received her veterinary degree in 2008 from Western University of Health Sciences. After graduation, Dr. Schmidt completed a one-year rotating internship at a multi-specialty practice in Glendale, California. Dr. Schmidt’s interest in dermatology grew from experience with her own dog who suffered from severe allergic symptoms. Following internship, Dr. Schmidt completed a three-year residency in small animal dermatology at Animal Dermatology Clinic in Marina del Rey, CA. In November 2013, she successfully passed her board examination and became a Diplomate of the American College of Veterinary Dermatology. In her spare time, Dr. Schmidt enjoys reading, cooking, yoga, and most of all spending time with her family. Tami Rae is a native to Southern California. In 1990, she was hired at a veterinary hospital in Malibu, California and from then, knew this was the field she wanted to be in. 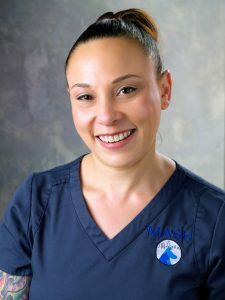 Over the years, she has worked her way through different aspects of veterinary medicine, ultimately finding dermatology to be the most rewarding. Dermatology patients can often present with an unpleasant odor and horrible skin issues due to infection or disease that can impede the relationship with their owners. Tami finds great joy in, not only helping the animals, but helping to re-establish that close bond with their owners again. Tami is personable and loves to educate her clients on the special care their furry friends will need going forward. 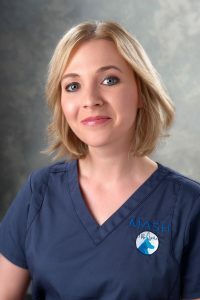 Tami has been working with Dr. Schmidt since 2010, as her assistant. Tami is also a professional sailing photographer. You can find her on the ocean shooting races up and down the So Cal coast. Tami has two dogs, a lab mix named Buddy, and a long-haired dachshund mix named Ginger. Jamie was born and raised in Moorpark, California. She has been in the veterinary field since 2014. She has worked as a veterinary assistant and has worked strictly in oncology. 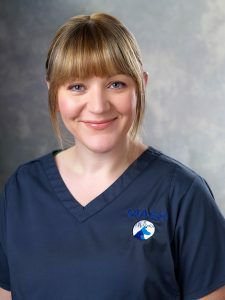 Jamie wanted to expand her veterinary knowledge and joined the MASH dermatology team in August 2018. 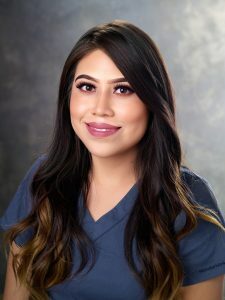 Jamie has her Bachelor of Science in Biochemistry from UCLA and is currently taking her pre-requisites at Santa Monica Community College to apply to nursing school. She has a 6-year-old Tortoiseshell cat named Rey, a 3-year-old Cavalier King Charles named Cali, and a 7-year-old Shepherd mix named Brandi. When not at work, Jamie likes to boat to Catalina Island and spend time with her family and friends. She also loves to do DIY projects and ceramics. Dr. Weeth received her veterinary degree from the University of California, Davis, in 2002. After two years in general and emergency practice, she returned to UC Davis in 2004 for a Residency in Clinical Nutrition. 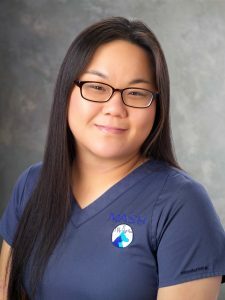 She completed her training in 2007, became a Diplomate of the American College of Veterinary Nutrition (ACVN), packed up her family and moved from the west coast to the east coast. There she established the first dedicated Clinical Nutrition Department in a private practice setting at Red Bank Veterinary Hospital in Tinton Fall, NJ. Dr. Weeth provided nutritional support to veterinarians and pet owners in the greater New Jersey/New York area until January 2014, when she and her family (including the 3 cats) once again packed up and moved, this time to the United Kingdom. 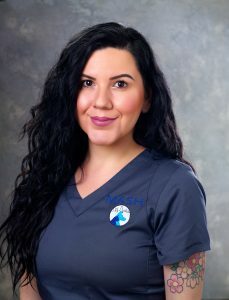 While living overseas she started Weeth Nutrition Services, a veterinary referral service that provided nutrition telemedicine to veterinarians and technical support to members of the pet food industry. 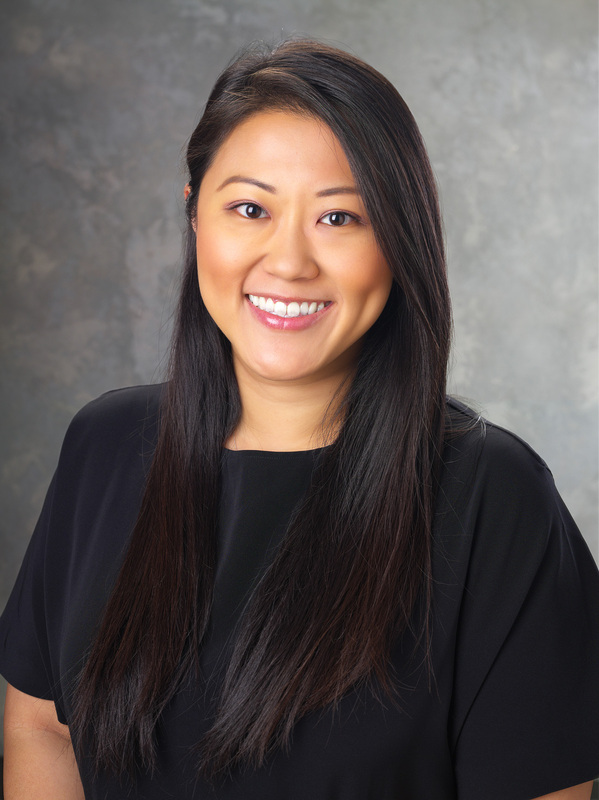 In August 2016 she and her family moved back to California and Dr. Weeth was able to expand her telemedicine service to offer in-person appointments to patients and their caregivers in Los Angeles and the surrounding areas. 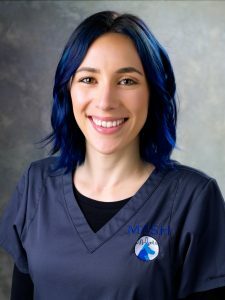 In her free time Dr. Weeth enjoys spending time with her family, exploring new parks and walks with her rescue dog Penny, and traveling to new and interesting places. Dr. Weeth loves all things food and food-related from growing the ingredients in her garden to putting them together in delicious ways for her friends and family. Melissa was born and raised in Los Angeles. She has been working in the veterinary field since 2012. She has worked as a receptionist, pharmacy tech, doctor’s assistant and tech assistant. 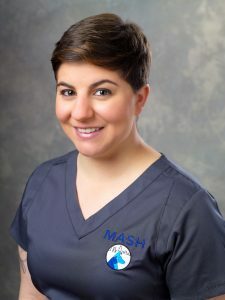 She has worked in surgery and oncology specialty medicine before joining MASH’s nutrition team in October 2018. Melissa is currently in school to obtain her associates in Animal Sciences from San Juan College. She wants to get her RVT license. She has a 4-year-old Chihuahua named Gypsee. In Melissa’s free time, she likes to paint, go to music festivals, explore new breweries, and go to art galleries. Nissan Mosapor is a native of Los Angeles, California. 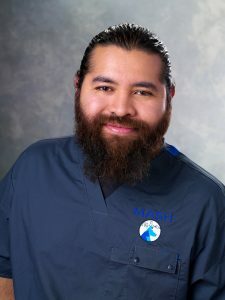 He has been working in the veterinary field since he was 17-years-old and is a licensed registered veterinary technician. 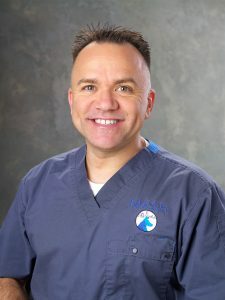 Over the years, he has worked in several veterinary disciplines ranging from emergency medicine, internal medicine, surgery and neurology departments at various specialty animal hospitals. Nissan has a expansive understanding of the veterinary industry and spent years using this expertise to help veterinary hospitals market their brands. Nissan’s dream of opening a specialty animal hospital that cultivates excellence in customer service and unparalleled medical care for animals was accomplished with the opening of Metropolitan Animal Specialty Hospital. In his free time, he likes to spend time with his wife and two daughters. Rick was born in Burbank but grew up in Northern California. He has been in the veterinary field since 2010. 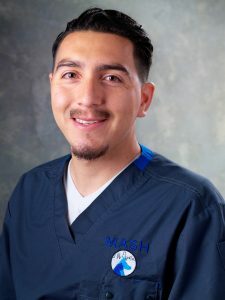 He has worked his way up from being a client service representative, a technician, and now to his current position as MASH’s Hospital Coordinator. He helped to form MASH in its beginnings and designs all of MASH’s artwork and designs. Rick graduated with his Bachelors in Geography from Cal State Northridge. Rick has one tuxedo cat named Lucky. Rick has a passion for nature and is a Certified California Naturalist and avid birder. In his free time, you can find Rick fishing, working on motorcycles, at a plant sale, surfing, or at a skate park. 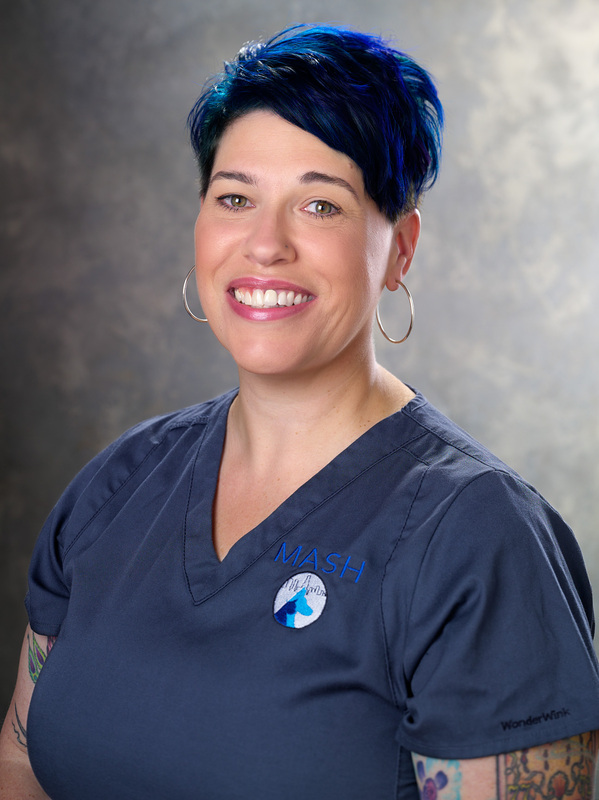 Alli has over 20 years of organizational management experience working in retail, law firms, a major pop culture collectibles company and most recently in the last 5 years, back in the veterinary field, at VCA TLC, ASG, and now MASH! She has two, crazy, adorable, feline boys: Stevie Wonder and Jaxxson. They are the BEST! Her hobbies are more of a passion. Alli currently volunteers at Apex Protection Project (amazing organization, amazing people). She has also volunteered at Pacific Marine Mammal Center for 14 years as an animal care specialist rescuing, rehabilitating, and releasing sea lions, elephant seals, harbor seals, small whales and dolphins. When not volunteering, Alli is either traveling or going to shows, as music is another big passion of hers. Isabel was born and raised in Los Angeles. She has been working in the veterinary field since 2008. She has worked in a variety of positions: customer service, humane resource, and financial departments. Isabel worked in general practice at first, but then switched to specialty veterinary medicine. Isabel is currently in school to become a registered nurse, where she hopes to one day join a specialty service in human medicine. She has an 8-month-old long hair chihuahua, named Lily. She also is a foster mom to a poodle. When not working, she loves to spend time with her kids, do outdoor activities, read, and watch documentaries. Carra was born in Indiana, but grew up most of her life in Wisconsin (Go Packers!) Carra was a Certified Veterinary Technician for 10 years, working in emergency and general practice. She graduated from Madison Area Technical College in Madison, WI with a AA in Veterinary Technology. During school she was Adoption Co Chair and Animal Caretaker for the animals that stayed on campus. 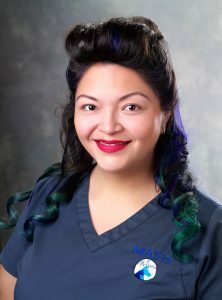 Her favorite part of being a technician was anesthesia and dentistry. Carra served on the Wisconsin Veterinary Technician Board as their Legislative Committee Director and Continuing Education Coordinator. 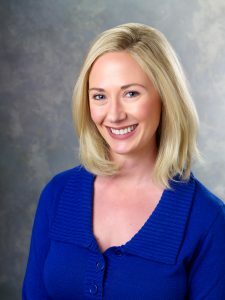 Carra graduated from Colorado State University Global in November 2018 with her Bachelor’s of Marketing with a Specialization in Public Relations. She moved to California in 2016 and absolutely loves it. In her free time, she loves exploring Los Angeles, hanging outdoors, binge watching TV shows, and reading a good book. Carra has two kittens that are brothers, Luke and Hans. Samantha was born and raised in West Los Angeles. 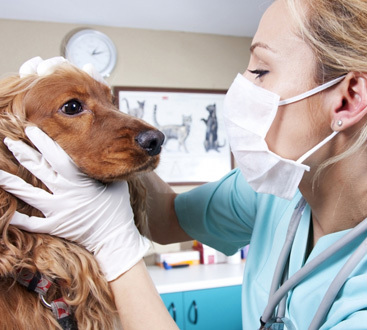 She has been working in the veterinary field since 2007 as a specialty receptionist. Sam has a knack for organization and creating relationships, so she joined the MASH team in November 2018 as our inventory coordinator. She has a 10-year-old boxer named Cairo, and a 9-year-old Pit Bull named Cashus. In her spare time, she likes to go to Kings and Dodger games, explore new restaurants and hang out with her hubby. Jamie was born and raised in California. She has been working in the veterinary field since 2007. She started working as a client service representative in general practice and then moved to specialty where she became a doctor’s assistant. She is now MASH’s Front Office Manager. She loves helping to save animals lives and rescue animals. She has a Bachelor’s degree in Business Management and Associates degree in Biology and Accounting from Cal State University, Northridge. She has two handsome chocolate labs named Griffin and Riddick. In her spare time, you can find Jamie on the slopes snowboarding, in the mountains hiking or at home watching movies. Elisa is a native of Los Angeles. She was working at a local car dealership when she had to take her dog to the vet for an emergency treatment. Elisa has always loved animals and when it turned out that the vet clinic was looking for a new receptionist, she knew this was her calling and the rest was history. She started in a general practice in 2013 and moved to specialty emergency in 2016. She has an 11-year-old Pit bull Labrador mix named Bella. On her days off, she likes spending it with Bella going for walks and trying new places to eat in LA. JJ was born in Virginia, lived in New York, and then moved to Los Angeles in 2000 to start a magazine and promote and host a nightclub. 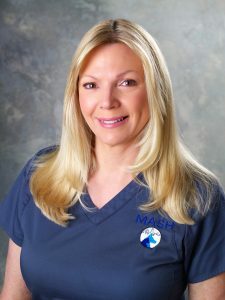 She has over 25 years of experience in the veterinary world. At a young age, she helped to run her families horse boarding facility and then started as a receptionist in veterinary at 16. After moving to LA and working in the entertainment business, she has always continued working with animals because that’s where her passion lies. She has great empathy and passion for emergency and critical care veterinary medicine. JJ has a 9-year-old Pomeranian named Baby Fox, a golden retriever named Doc Holiday, and two cats named Wolf and Jerith. When not working, JJ loves to horse back ride, go for drives on the coast, go to the beach, and go out and entertain in a social environment. Annabelle was born and raised in Los Angeles. She was a referral coordinator for a worker’s comp company and then transitioned to the veterinary field in 2014. She loves the veterinary field and feels her heart and soul belongs in emergency and critical care. She is currently pursuing a Bachelor’s degree in Science in hopes of becoming a registered nurse in emergency human medicine. When she is not at work, she enjoys spending time with her daughter and two cats, Face Off and Pucci. Jolene was born and raised in Los Angeles. She has been working in the veterinary field since 2012. She started out in general practice and has worked as a kennel attendant, technician assistant, and now receptionist. 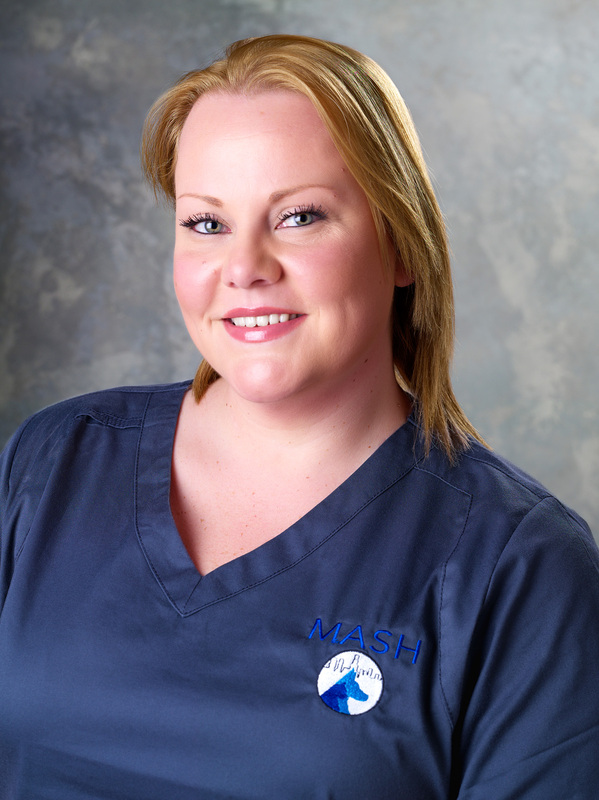 Jolene loves learning new things and being helpful to clients and patients. Jolene goal is to go back to school to obtain an RVT license. Jolene has 3 cats, Kernel, Batman, and Buggy. She also has 3 dogs: Monkey (Shih Tzu mix), Speck (Terrier mix), and Benjamin Waffles (Lasa Apso Mix). When not working, she likes to spend time with her son, hike with her dogs, and catch up with friends. Kelsey was born and raised in Los Angeles. She has been in the veterinary field since 2008. She started out working in general practice and then moved to specialty reception. Kelsey has always been drawn to this field because of her love for animals. She has one dog, a beagle mix named Kylo, and four cats, Tinkerbell, Stitch, Jager, and Scruffy. When not at work, she loves to go to LA Kings hockey games and Disneyland with her husband. Raven was born and raised in Los Angeles. She joined MASH in mid-September of 2017 as a receptionist. This is her first job in the veterinary field. She graduated from San Jose State with a Bachelor of Science in Hospitality, Tourism, and Event Management. After college she moved back to Los Angeles and obtained an internship at Dream Builders Project planning their charity events. Her dream is to plan charity events for non-profits full time. Raven has a 11-year-old Shih Tzu named Destiny, a 13-year-old Cocker Spaniel named Snoop, and a cat named Meow that chose Raven as his mom after winding up on her doorstep. When not working and planning charity events, she loves to hang out with her family, going bowling and to hookah bars with friends, water aerobics and getting her hair and nails done. Sydney was born and raised in Los Angeles, California. She completed the veterinary assistant program at the Animal Behavior College and received a certificate. Sydney has loved animals all her life and being able to help them in their time of need means the world to her. Sydney’s goals are to become a full-time veterinary assistant soon. 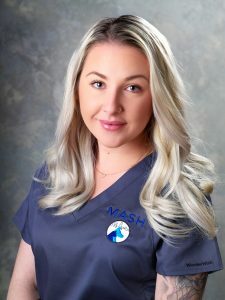 Sydney joined the MASH team in July of 2018. She has volunteered at local animal shelters and did an externship at a local animal clinic. In her free time, she loves listening to music, hanging out with friends, and watching Netflix. Carlos is originally from El Salvador. He moved to the LA area in 1999. 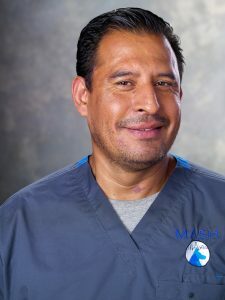 Carlos has been working in the veterinary industry doing maintenance for over 13 years. Carlos is your quint essential handy man. Carlos has a wide range of trade skills: repair work, maintenance work, plumbing, electrical, and both exterior and interior work. In his free time, he likes to fish, watch/play soccer, and enjoys eating at the local Mexican joints.